Welcome to the Clermont CAMTRI Sprint Triathlon American Cup. This is our 7th Annual ITU event at this venue. We are thrilled to host this event as well as the Sarasota CAMTRI event the following weekend to provide athletes a back-to-back weekend racing opportunity in Florida. The entire race course is closed to traffic. The 750 meter swim takes place in a clear lake with average temperature ranging in the high 60’s F. Following the swim, the race will take athletes on a four loop bike course on a well paved and fast road. After completing the 20k bike course, athletes will complete two loops of the run course. NOTE: ALL athletes should register online before arriving to Clermont. This is super important. Online registration can be found at http://www.draftlegalchallenge.com. The online registration fee is $95. If you register at the pre-race meeting the registration fee increases to $105. The pre-race briefing is at 6:00 pm on Friday, March 1st - see the schedule page. 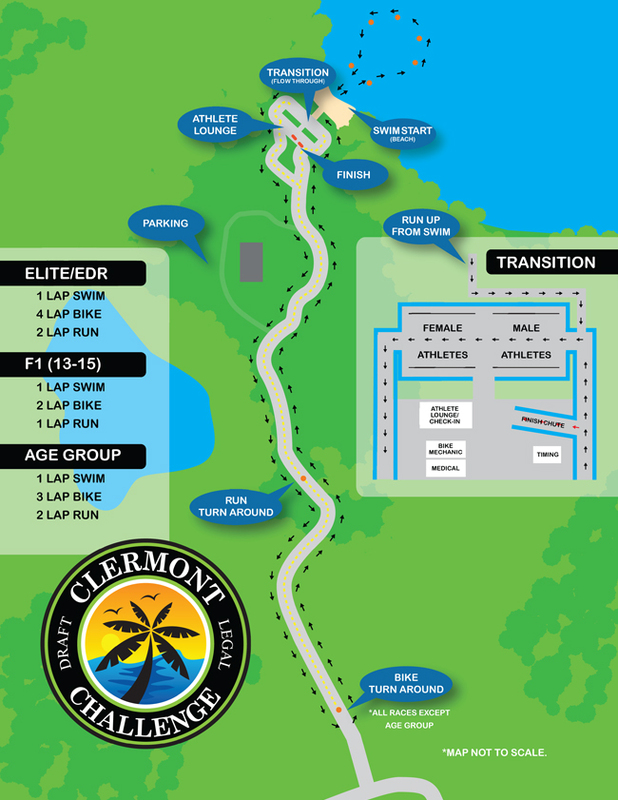 A mandatory pre-race meeting for all Elite will take place at the Clermont Arts & Recreation Center, 3700 South Highway 27, Clermont, FL 34711 starting at 6:00 pm. SPECIAL NOTE: Please bring your uniform to the briefing so it can be approved prior to the race. There are a variety of lodging options in the Clermont area.